Solar energy has been around for a long time, but in recent years the technology has improved in leaps and bounds. We stand on the cusp of a new era in solar technology. The field has advanced very quickly in the last few years, and with improved government incentives and other benefits, having solar panels installed in your home or business is easier than ever. Of course, you need the right service to install the system properly, then provide maintenance and repair as you go forward with it. The good news is that you have one in the form of McCreery & Sun Of Colorado. Our NATE-certified staff keeps up with the latest advancement in solar energy, and passes our know-how onto you. We can help free you form the tiresome chore of monthly electrical bills, as well as helping you do your part for Mother Nature with a clean, renewable energy resource. The future is here, and with our solar energy service, you can be a part of it. Contact us today to find out how! 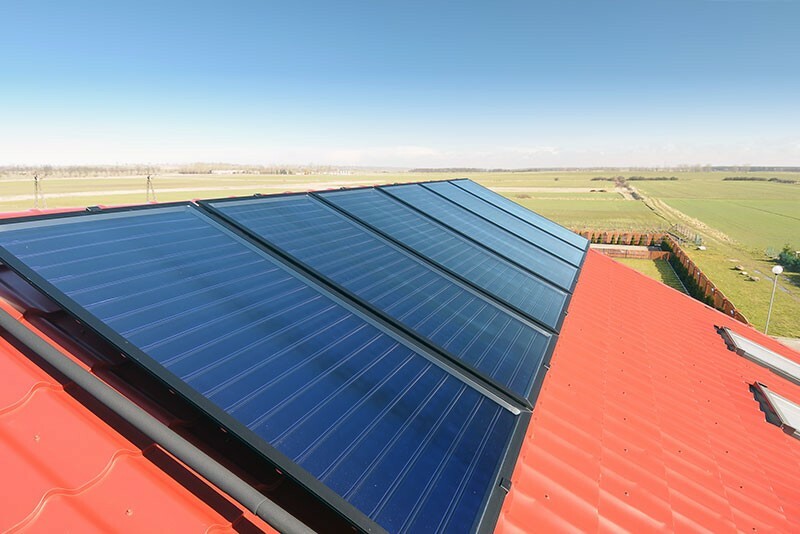 Trust the pros at McCreery & Sun Of Colorado for solar energy services in Greeley, CO.
Like any other technology, solar panels have become more efficient and easier to use with each passing year. In Greeley, CO, that means they’re no longer hampered by things such as cloudy days and low sun exposure. Expenses keep going down too, and as time goes on, more and more residents are going to be giving solar technology a very close look. At McCreery & Sun Of Colorado, we’re preparing for the future with a wide variety of solar technology available. We have a plan that suits your specific needs and our technicians can handle repair and replacement as well as installation. Contact us today! Solar heating is one of the most basic forms of solar technology: converting the power of the sun to energy that can run heaters and warmers without using any fuel. Because solar panels have no moving parts, the system rarely breaks down, and the energy used can be stored over time. Solar panels rarely need repairs, but when they do, they usually require careful servicing, since they’re often on roofs or similar tricky spots. They also need someone who knows what they’re doing, which is why the pros at McCreery & Sun Of Colorado are always your best bet! We have the skills you need and the knowledge to conduct solar repairs the right way! Solar panels belong on the roof if at all possible, for a number of reasons, it saves precious space in your home, as well as exposing the panels to the maximum amount of sunlight. But installing and repairing them can be tricky up there, which is why you need to rely on the services of a professional to do the job the right way! Solar power used to be derided for its lack of efficiency, but the advances in recent years have made it more than viable. Nowhere is this more apparent than with solar water heaters, which use the power of the sun to provide reliable hot water to your home at almost no cost! At McCreery & Sun Of Colorado, we’ve been in the solar power game for many years, and we know first–hand what kinds of exciting changes are taking place in the field. Regardless of what your home needs here in Greeley, CO, there’ a solar energy product that can meet those needs: helping you save big money on monthly costs while doing your part for Mother Nature in the process. If you think that your home can benefit from solar energy panels, or you have existing panels and you need a service that can maintain and repair the properly, pick up the phone and give us a call!